Breakfree Diamond Beach: Location, Location, Location! More cosmopolitan than older sister Surfers Paradise, Broadbeach is a relaxed yet stylish nook of the Gold Coast that boasts a renowned dining district, world class shopping, and breathtaking stretches of golden sand beaches. Even with all of its sophistication Broadbeach has retained its laid-back atmosphere that lends itself to amazing family holidays that create memories of a lifetime. 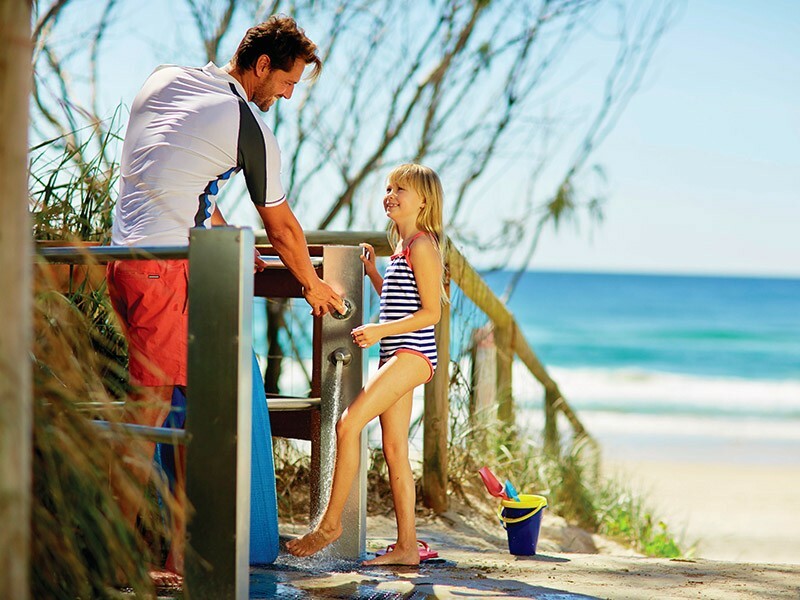 For the ultimate Broadbeach family holiday, Breakfree Diamond Beach offers expansive and exceptional facilities, a friendly family atmosphere, and a stellar location just 100 metres from the patrolled surf beach. The highlight of Breakfree Diamond Beach is the two expansive lagoon pools complete with cascading waterfalls and framed by luscious gardens resulting in a relaxing tropical ambience. 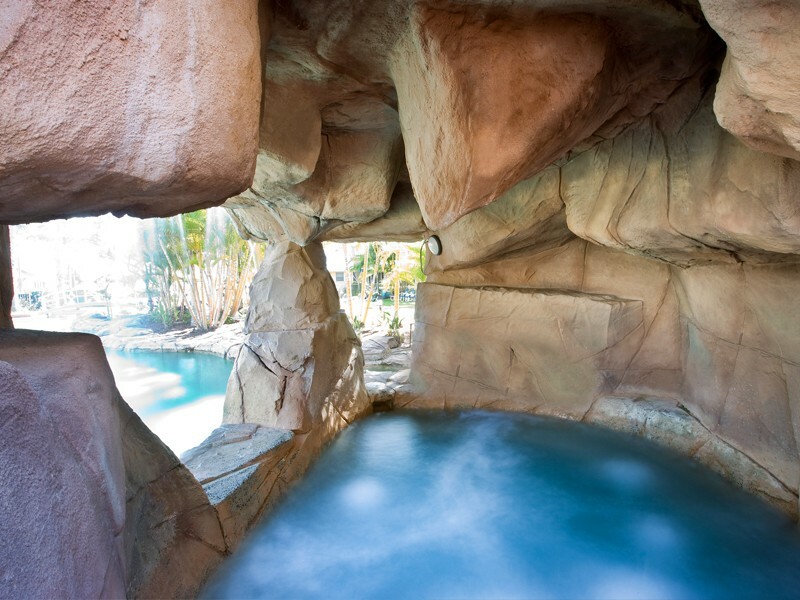 There is even a heated rock cave spa to soak away any woes! 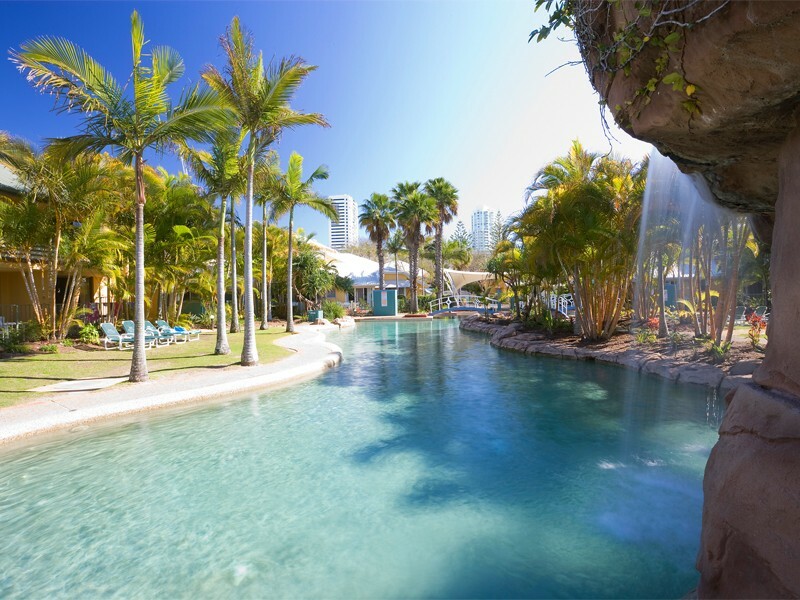 Mum and Dad can put their feet up and bask in the Gold Coast sunshine while the kids enjoy the fantastic water playground. When lunch time comes around, the well-kept BBQ facilities in the expansive garden area are perfect for to cook up a feast while the kids enjoy the pool before having a massive family lunch. Luckily for those who don't feel like whipping up a barbie for lunch, BreakFree Diamond Beach sits in the dining epicentre of the Gold Coast. 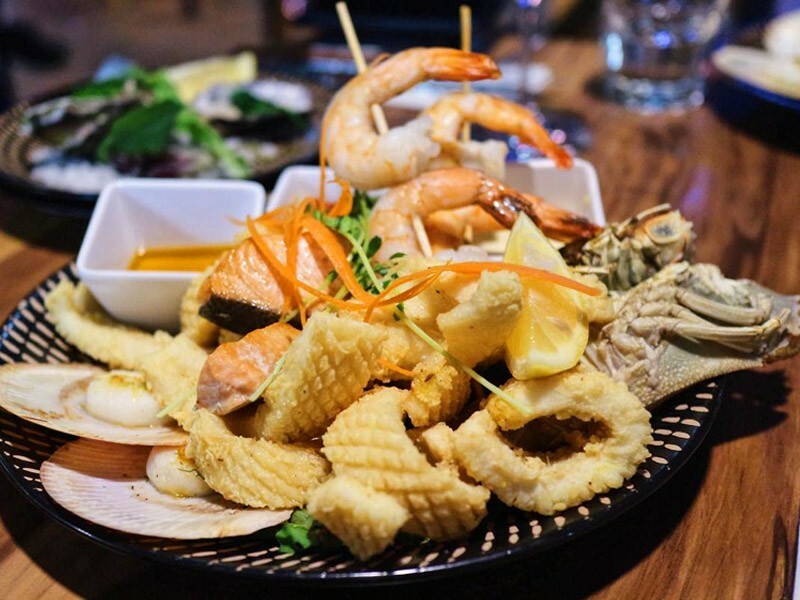 A foodie haven, Broadbeach comes equipped with every type of cuisine imaginable from swanky restaurants to affordable cafés or take away joints, including fish and chips, Thai, Chinese, Italian, Japanese, American, and more, Broadbeach will cater to your tastes and cravings. Two DQ favourites are Sage and Yellowfin. With a friendly family atmosphere, Sage excels at delivering popular dishes with an elegant twist and exceptional customer service. Sage is perfect for dinner or a nice lunch with reasonable prices. Yellowfin is another great family pick that was voted the Number 1 Seafood Restaurant on the Gold Coast 2014 & 2016 by the Gold Coast Bulletin readers. 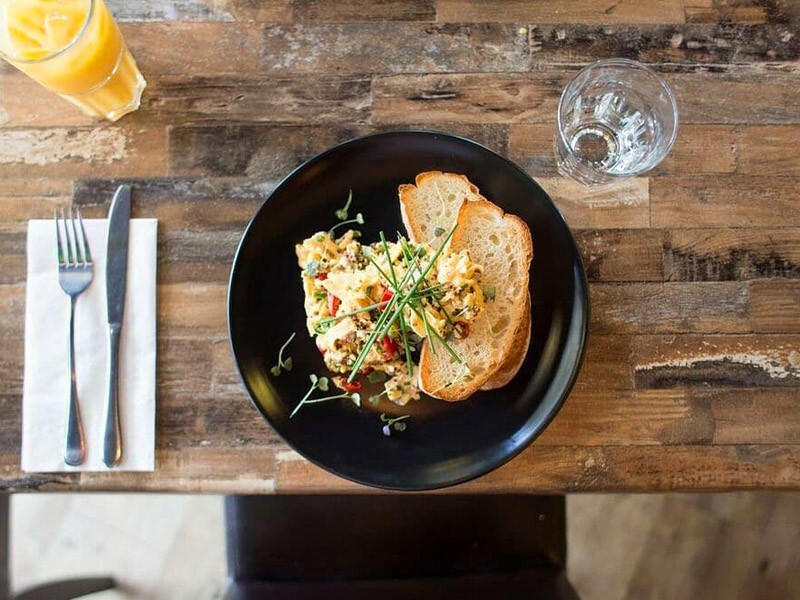 It enjoys an open air venue with both indoor and alfresco dining options, attentive customer service that are especially great around the kids, and delightfully fresh produce. 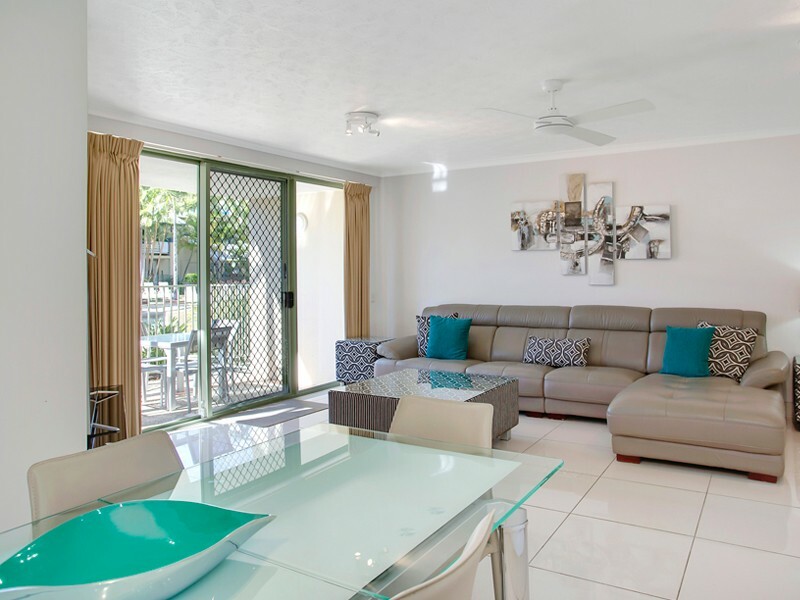 Of course Breakfree Diamond Beach accommodation is equipped with kitchen facilities and there are several full sized supermarkets in the Broadbeach area so putting together the occasional meal in your apartment will be easy. Every family is different, some see eating out each meal as part of a vacation, while others prefer the ease of cereal or toast in the apartment before taking the day by storm! Whatever your preference Broadbeach can cater for you. 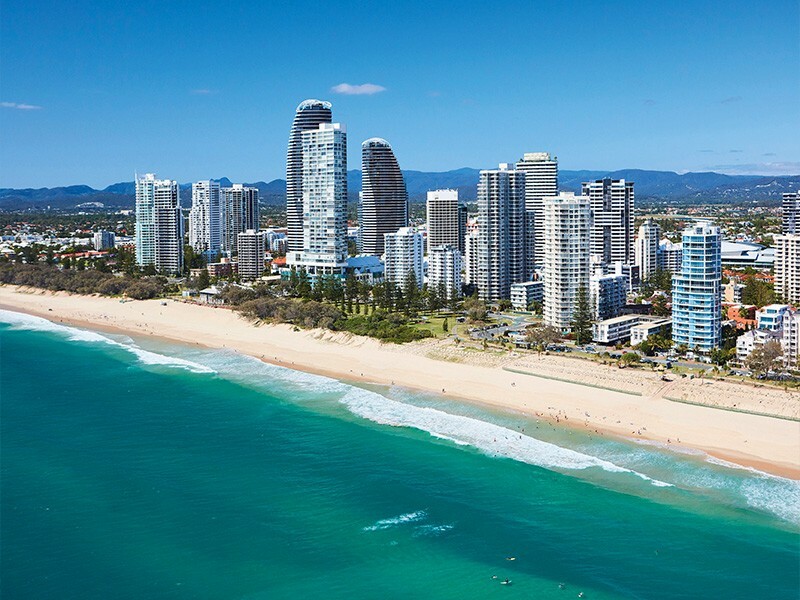 The crown jewel of any Gold Coast holiday are the beautiful stretches of coastline! To get there, all you'll have to worry about is throwing the towels, hats, sunscreen, and water in a bag and heading across the road to the patrolled surf beach for hours of fun in the sun! Make sure you pick a section of the golden sand and aqua blue waves that are between the red and yellow flags so your family can be carefully watched by well-trained lifeguards. If you're visiting in winter, don't be shy to visit the beach! Even amidst the cooler months the beaches are pleasant and often warm enough for swimming as well as beach cricket, soccer, volley ball, and of course, just general relaxing while the kids have a blast! 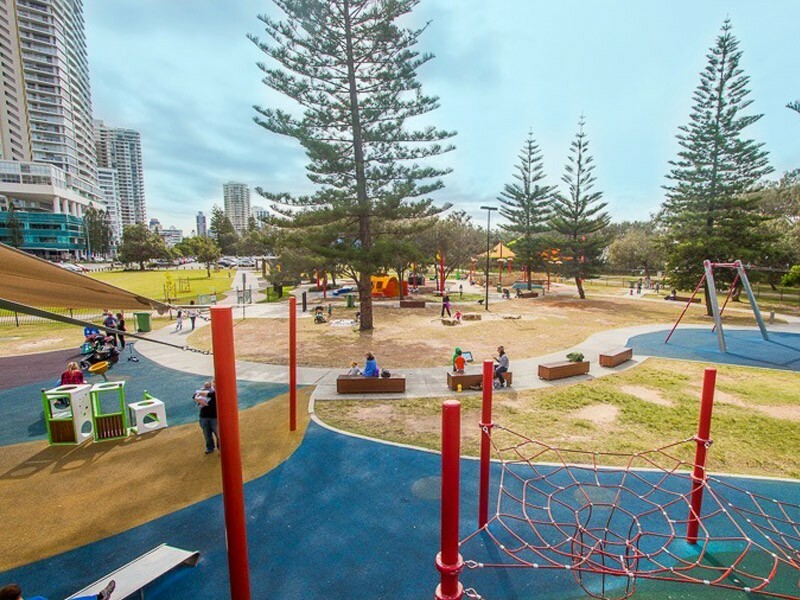 On your way back to Breakfree Diamond Beach from the beach you'll pass Pratten Park, the Gold Coast’s first ‘All Abilities Playground’ and you will quickly discover it is a child’s paradise. The unique and entertaining play area caters to kids of all ages and capabilities; it is completely fenced and includes sand areas, spring toys, stepping blocks, a large basket swing, hill slides, sway swings, a flying fox, a huge yellow submarine, a carousel with harness, and a mermaid in the undersea zone. This is a park that the kids’ will be raving about and telling stories for years to come! Make a day of it and pack a picnic blanket and sandwiches and include a dip in the beach to finish off the day. Broadbeach in many ways is the hub of the Gold Coast, as well as the famed dining district, the area is also a very popular shopping spot. You are spoilt for choice as soon as you step outside of Breakfree Diamond Beach. There are boutique, hipster, and budget shops lining the mall before you reach Oasis Shopping centre which is filled with everything from boutiques to a Cotton On mega store to yoga studios. For the ultimate shopping experience, head across to Pacific Fair. This castle on an island building has undergone a multi million dollar renovation to become one of the largest and most iconic shopping centres in Queensland. You can take advantage of the child minding facilities and take a lengthier excursion while Dad goes on a fishing trip, has a beer, or does some shopping of his own! As well as stunning lagoon pools that will entertain the kids for hours, Breakfree Diamond Beach has a great range of room options from 1, 2, and 3 bedroom apartments - there is an option to suit all family sizes. Although it's well worth paying a little more to enjoy an upgrade to a 'deluxe' apartment as they are renovated. The spacious apartments are famed for prioritising comfort along with style, and once you melt into the beds and relax on the sofa, you will appreciate these choices. What the resort lacks in 5 star accreditation it makes up for with a relaxed family atmosphere that ensures you will always feel comfortable and at-home. For those driving to the resort, there is free parking available to ensure ease of access and day trips are as simple as possible. This great value-for-money resort delivers an amazing family experience that will create memories for a lifetime. Check out BreakFree Diamond Beach or Call the team at Discover Queensland today on 1300 788 553 to get you away on your amazing holiday. 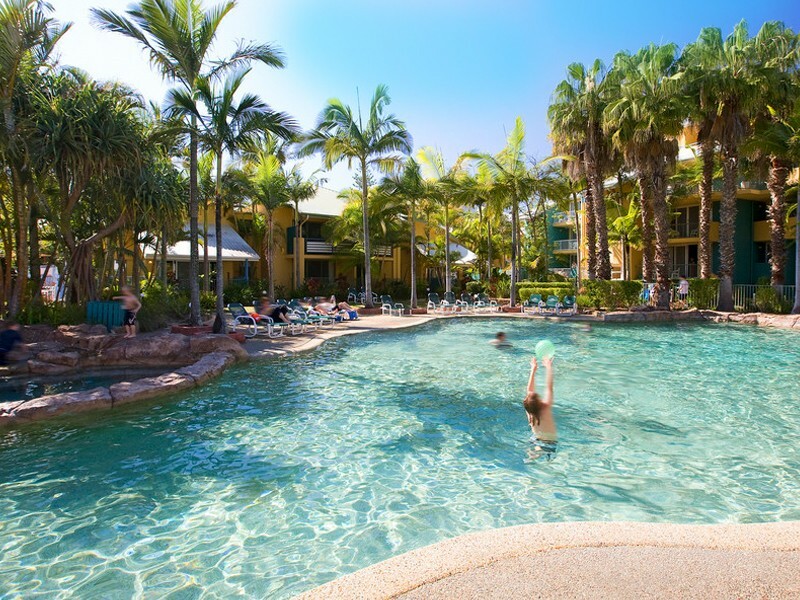 BreakFree Diamond Beach resort is conveniently located just a short stroll from the crystal blue waters of Broadbeach and an abundance of restaurants, cafe's, shopping and entertainment, making this the ideal Gold Coast family resort location.